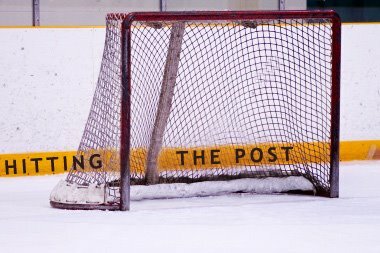 Hitting The Post: Not what the Wild needs? Really? Just had to get this off my chest after a discussion over on Russo's blog. A while back, I'd posted a list of the goaltending situation throughout the NHL with the goal of pinpointing the most likely trade partner for the Wild in regards to Josh Harding. I labeled Philadelphia as most in need of a "goalie of the future" and mentioned Danny Briere as one player Philadelphia would love to get rid of because of his supersized contract. This became a topic recently on Russo's Rants and Briere was given the "he's nowhere near what we need" label. Never once did I refer to him as God or the reason Philadelphia will win a Stanley Cup. I did not compare him to centers like Sidney Crosby, Pavel Datsyuk or Evgeni Malkin, or Joe Thornton or Vincent Lecavalier. What I believe is that Briere is a quality player who would be a significant upgrade for a team like the Wild, who currently lack a No. 2 (some would even argue a legit No. 1) center. Briere is a center forced to the wing because Philadelphia has Mike Richards and Jeff Carter down the middle. If that doesn't fit the Wild's needs, then what does? It's quite understandable and even expected to not want the guy because of his bloated contract ($6.5 million through 2015.) I have no problem with citing that as a reason to stay away from him. But the argument seemed to stem mainly from the fact that he's an awful player. To say he's "nowhere near what the Wild needs" is just ignoring the facts. When I look at the Wild players, I don't see too many who have scored multiple 30-goal seasons in the NHL. I don't see that trade happening, nor am I pushing for it. But for a Minnesota team that features James Sheppard or Pierre-Marc Bouchard at center behind Mikko Koivu, Briere would be an upgrade. Briere certainly isn't "the missing piece" but he represents another building block. Hopefully, for those fans' sakes, Sheppard shakes off the bust label or Bouchard succeeds in making the position switch. Maybe they'll develop into better players than Briere. Briere's contract makes a trade unlikely. But ignore that for now. Would you rather have Briere, Sheppard or Bouchard as your second-line center? Briere every day of the week and twice on Sunday. Anyone who says that he is "not what the Wild need" is drunk on paint thinner. He is EXACTLY what they need, though they need him at about 2.5 million less per season. I say trade Harding and Butch for him and a first round pick. That makes room for his salary as well. Philly would never go for Butch though... he would get eaten alive in that locker room. I think part of the problem is that you are actually expecting to get legitimate reply's when posting comments on russo's blog. I'm not sure you even need to go as high as $2.5M less. 1 or 1.5 would make it more palatable. Anon: You might have a point.